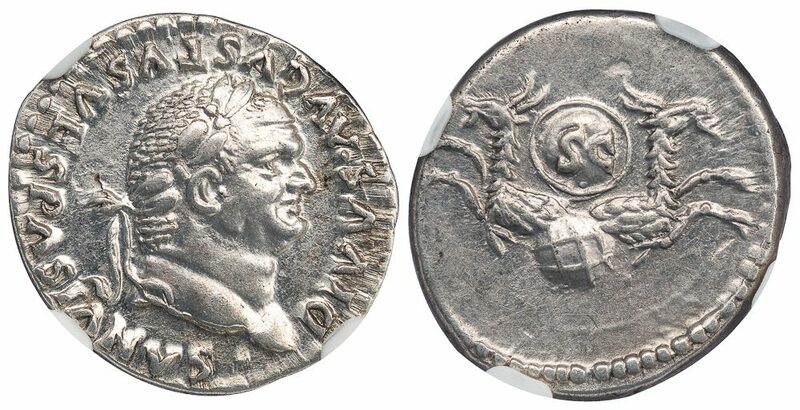 Silver denarius, 3.51 g., 17 mm., posthumous emission struck in Rome under Titus AD 80-81. Obv. DIVVS AVGVSTVS VESPASIANVS, laureate head of Vespasian right. Rev. A pair of capricorns conjoined, emerging from a globe, a shield inscribed SC above. RIC II 357 (Titus); RSC 497; BMC Titus 129. 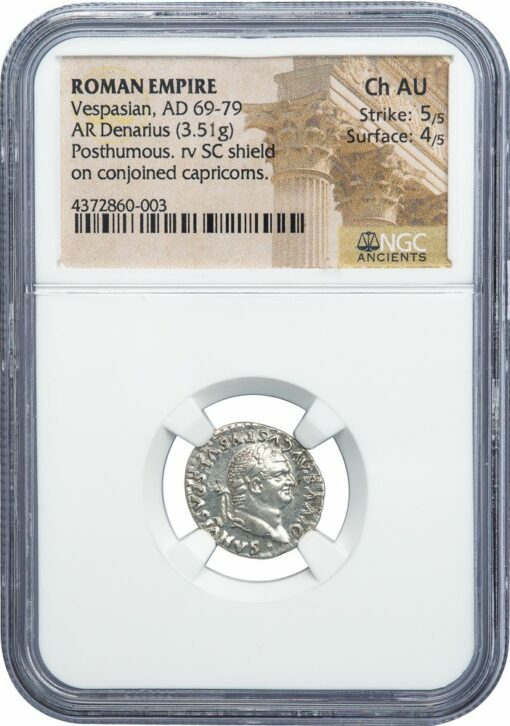 NGC graded CHOICE AU, Strike 5/5, Surface 4/5, lustrous, an interesting type recalling the capricorn symbolism of Augustus.